https://www.vroomvroomvroom.co.uk/vehicles/budget/Everything you need to know about Europcar car rental United Kingdom. 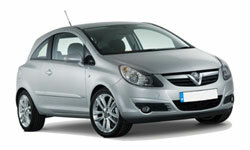 Voted Europes No 1 Car hire company in the 2009 World Travel Awards. When picking up a Europcar car rental, VroomVroomVroom, the car hire shopper that gives you piece of mind with online savings all factored in to the search using VroomVroomVroom. In one easy look up, VroomVroomVroom allows you to compare your Europcar car rental prices side by side with the rest of the global brands to make sure your hire car is the right car at the right price. VroomVroomVroom is convenient to use and gives you the right information to make your car hire selection for your travel needs.